It is once again, that time where I give a shout out to an amazing creator that I’ve recently been obsessed with. That is Toonimated Draws! Not their real name of course, but it is an indicator that he/she not only draws, but also creates animations. I will post all of the social media links down below so you can check out his/her blog, store, etc. 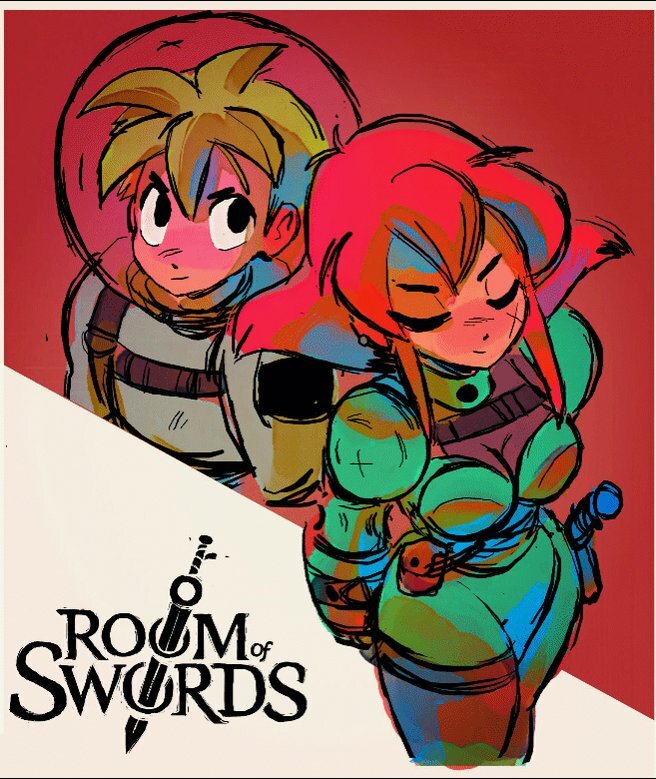 Because I mostly want to talk about the webcomic Room of Swords. Not only is it an interesting story so far, (chapters are still being released) but the characters themselves are fun to read. Gyrus is a cowardly, yet intelligent astronaut, and Tori is a prideful knight from another land. A weird duo thrown together on an alien planet that have to ‘restore the Room of Swords to open the gate to freedom.’ It reads like a video game with quests, monsters, and puzzles to figure out, which brings out the nerd in me. Oh, and did I mention this comic is animated? That’s right. Animated. There are panels with animated movements to give the story real depth. The swing of a sword, or the confused blinking of eyes adds a whole other layer to this comic that traditional media wouldn’t be able to capture. But seriously, just take a look at the first page, of the first chapter. I guarantee you will be hooked enough to keep on reading. And before you know it, you will have finished the whole chapter.